PORTLAND - Two Wilton residents have agreed to plead guilty to conspiring to distribute fentanyl, according to court documents filed with the U.S. District Court. 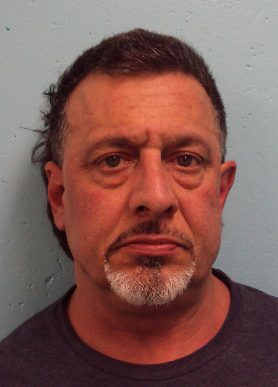 Dennis Ayala, 55, and Andrea Hoffman, 35, both of Wilton, have agreed to plead guilty to conspiracy to distribute and possess with intent to distribute 40 grams or more of mixture containing fentanyl, a potent, synthetic form of heroin. That charge, considered a Class B felony by federal statute, carries a sentence of no less than 5 years and no more than 40 years in prison, as well as up to a $5 million fine. Ayala was also originally charged with aiding and abetting the possession, with intent to distribute, of 40 grams or more of a mixture containing fentanyl. That Class B felony will be dismissed when Ayala is sentenced, per the terms of the agreement. According to court documents, the charges stem from a traffic stop undertaken by Maine State Police on May 22, 2018 on I-95. Inside the operator's bag was a canister of WD-40 that was found to contain a hidden compartment. Located inside was 196.9 grams of fentanyl. The operator indicated that the drugs were being delivered to Ayala. At that same time, local police were searching Ayala's residence in Wilton, as he had bail conditions relating to an April 18, 2018 investigation by the Franklin County Sheriff's Office that resulted in the alleged discovery of crack cocaine, heroin, $6,628 in cash and drug paraphernalia in his home. Ayala had not at that point realized that the fentanyl had been seized by police and communicated with Hoffman via text message to get her to retrieve the drugs. Hoffman then communicated with another individual to try and recover the drugs. Two others, Patricia Pimentel, 24 of Lawrence, Mass. ; and Alberto "Papa" Luis Cruz, 32, also of Lawrence, Mass. ; have also been charged with conspiracy to distribute and possess with intent to distribute 40 grams or more of mixture containing fentanyl, in relation to this case. Pimental has also been charged with aiding and abetting the possession, with intent to distribute, of 40 grams or more of a mixture containing fentanyl. Ayala was previously convicted of aggravated trafficking in Kennebec County in 1997. Good work! Dennis needs to be locked up for a long time. That,s a lot of drugs. Angus King is a lost cause on this issue. He has been spinning so long he does not know who he is anymore. Independent ? What a joke. Just going to collect another retirement check. Lion/Eagle most drugs are driven in or come in through containers and shipping. Like 95%. Also, if the demand fades the problem resolves itself. It could be more complicated than a "wall"
We just moved here from out west, what on earth is going on here in Maine, & reading so many articles, wth is with Lawrence Mass,? Seems to be the source of so many kinds of Drugs?? Cant Mass get a handle on that place?? As the President said the other night..."You are full of Crap" and don't know what you are talking about...Go down to San Ysidro and do your homework. If all the people that want to believe the drugs are coming in other than the southern border would read the border patrol and immigration sites they would better understand what is coming into out country on a daily basis as much is confiscated and stopped. Who knows how much is coming across that is not detected. The country needs better control of the border and a wall or barrier or whatever one wants to call it is desperately needed. Darryl, JustSaying ... So you believe the fentanyl was grow/produced in Lawrence, Mass? That 95% statistic is actually the amount that crosses the southern border. Go ahead and tell me how walls, fences. dividers (call them what you will) don't work? It seems every farm in this state has "working" fences of stone, barbwire, wood or steel. They do their job quite well. It also seems that "walls" do a pretty good job protecting us by keeping criminals from harming society. (Jails, Prisons etc.) It's time already to put politics aside and start protecting US from criminals, Illegals, drugs, diseases from un-screened and un-vetted aliens. Build the wall, they do work! Look around you today and see these walls they're everywhere! Why? Because they work! People think we have a good grip on the southern border, we don't even a finger on the handle of control of the southern border, the guy who shot and killed Kate Steinle in 2015, was deported 5 times, and had been living in San Francisco since 2009, he was acquitted of murder by a jury in San Francisco. If the CBP can miss a human 5 times, the amount of drugs they can miss is mind numbing. A full wall or fence if the term suits you, will make a huge difference in aiding the CBP to catch more people and drugs coming across the border. In January the CBP took 250lbs of fentanyl and 400lbs of meth off a truck coming across the border from Mexico into Arizona, that is enough fentanyl to kill 26 million people. And is the largest fentanyl bust in CBP history. How can anyone possibly argue with what Reality Check just stated?? There would be multiple reasons for Anyone paying attention to the War On Drugs being run over last hundred years or so....? Next we will be talking about the WMDs that are being brought in this way. War on Drugs, War on Terror...these aint wars, Wars actually end. BTW: I can think of reasons that a wall maybe good, just not these arguments.. Pure, Please by all means enlighten the rest of us as to what your good reasons for a wall are, if none of the above reasons are up to your exacting standards. The drugs probably came from Canada. Should we build a wall there too? Better close the ports too.